Welcome to COPIS. 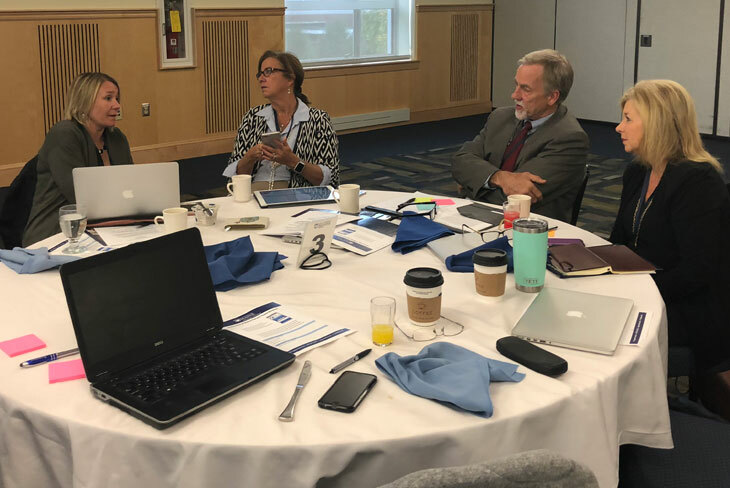 COPIS members collaborate, mentor each other, and share research and publications about improving instructional supervision. Pre-conference Sessions featuring Emerging Scholars and Publications begin Thursday afternoon followed by an informal reception. Formal conference proceedings launch Friday morning and conclude Saturday afternoon. Join us on the banks of the beautiful Savannah River in Augusta, Georgia for the 2019 fall conference where you'll find a mix of Southern charm and city fun that blends arts and culture, shopping, and amazing food. The deadline for submission is August 17, 2019. All submissions should be emailed to Dr. Jennifer Jacobs at jjacobs8@usf.edu. COPIS 2019 will be held at Augusta University. Official hotel information to be released soon. Check back. Proposals will be accepted beginning in the Spring 2019. Blumberg/Pajak Scholarship nominations are currently being accepted. The Arthur Blumberg/Edward Pajak Memorial Scholarship Fund, which was established in 2014, supports the attendance of doctoral students who are pursuing research in instructional supervision at the COPIS annual fall meeting. The scholarship recognizes the significant contributions of two legends in the field of Instructional Supervision, Dr. Arthur Blumberg and Dr. Edward Pajak. Dr. Blumberg was a professor of Educational Administration at Syracuse University who made significant contributions to the field, most notably his book entitled, Teachers and Supervisors: A Private Cold War. One of Dr. Blumberg’s doctoral students at Syracuse was Dr. Edward Pajak who went on to a stellar career in instructional supervision at Virginia Tech, The University of Georgia, and Johns Hopkins University. The establishment of the Arthur Blumberg/Edward Pajak Memorial Scholarship honors these two remarkable scholars who always nurtured new talent to the field. Nominations are also due on August 17th and should be sent to Dr. Bernard Badiali at bxb8@psu.edu and Dr. Jim Nolan at jimnolan@psu.edu.